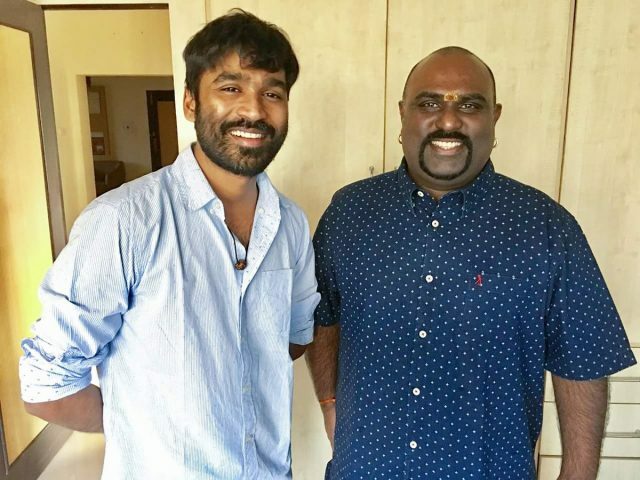 Yogi B will be singing the title track of Dhanush’s VIP 2. Are you a fan of the popular singer Yogi B? If yes then get ready to rejoice as we have some awesome news in store for you. The rapper recently took to twitter and confirmed that he will be crooning the title track of Dhanush’s eagerly-awaited ‘VIP 2’. Moreover, he thanked the star for giving him an opportunity to be a part of his film. “Honoured to work wth @RSeanRoldan & collaborated once again wth @dhanushkraja. Wishing the team & @soundaryaarajni a big success for #VIP2,” he added. Well, it goes without saying that Yogi B is a talented artiste and we are sure that he will be able to make an impact with his work. In case you did not know, ‘VIP 2’ is an action-comedy and has been directed by Soundarya Rajinikanth. A sequel to the 2014 release ‘VIP’, it sees Dhanush reprising the much -loved Raghuvaran character from the first part. Besides him, it features Bollywood actress Kajol in the lead. This is her first Tamil film in nearly two decades. Her last Killywood film ‘Minasa Karavu’ hit screens in 1997. A musical drama, it also featured Prabhudheva in the lead. Interestingly, Yogi B was recently roped in to sing the ‘Surviva’ number for Ajith’s ‘Vivegam’. The track was released a few days a became the talk of the town in no time. Composed by Anirudh Ravichander, it talks about the need to survive in adversity. All in all, this is a good time for Yogi B and we hope that he continues to find success in the days to come.